These iconic words are printed on a plaque for Guests to read after they scan their MagicBands for admission at Magic Kingdom and before they pass under the train tunnel to enter the magical park. There could be no more perfect welcome message to Guests visiting Disney World’s first theme park. Magic Kingdom is home to six different lands that embrace that world of “yesterday, tomorrow and fantasy,” and each land is wholly unique and an experience unto itself. And the six lands in the park come together to immerse Guests in what is known to many as the most magical experience on earth. Here they are, from Main Street U.S.A. and then clockwise, starting with Adventureland. Constructed to look like Main Street in Walt’s hometown of Marceline, Missouri at the turn of the century, Main Street U.S.A. is full of nostalgia and history, with lots of hidden personal touches as well. In the middle of Town Square sits a bench that has a statue of Walt Disney’s brother Roy, seated with Minnie Mouse—a nod to the support Roy gave to Walt, like Minnie supports Mickey. 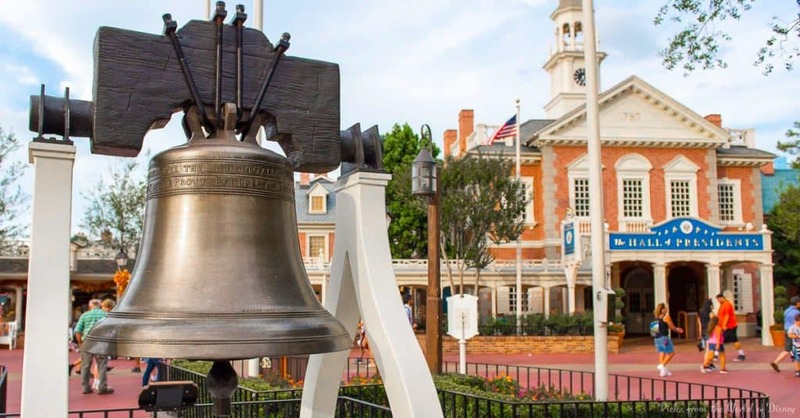 Town Square is also home to City Hall, the Firehouse, Tony’s Town Square Restaurant (made famous by Disney’s Lady and the Tramp) and Town Square Theater where Guests can meet Tinkerbell on one side and Mickey Mouse on the other. 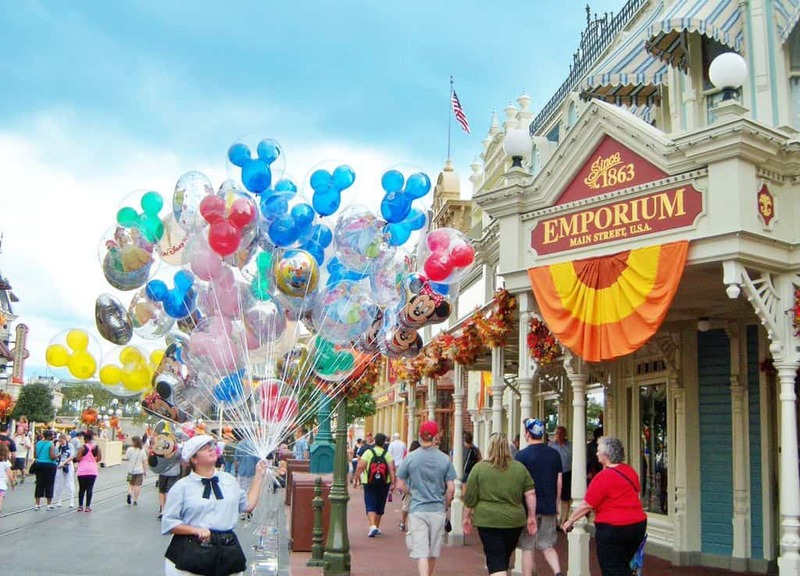 Main Street is also home to the Emporium, which sells every kind of Disney World souvenir imaginable. Across the street from the Emporium, you can find an art store next to the Main Street Confectionery. The Confectionery is the place to go for candied apples, kitchen wares, fudge, cookies, themed cupcakes and more. Further down Main Street, Guests can get their caffeine fix at Starbucks, try a macaroni and cheese-topped hot dog at Casey’s Corner and even eat an enormous ice cream treat at The Plaza Ice Cream Shoppe, called Mickey’s Kitchen Sink. 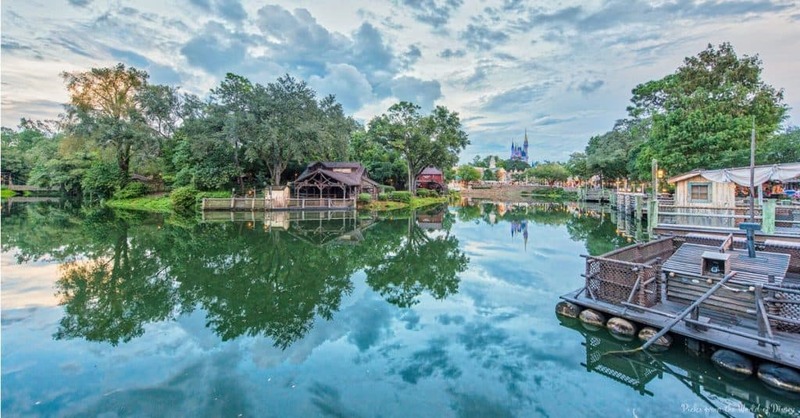 Adventureland is home to many of the classic Disney attractions—some that were in operation on Walt Disney World’s Opening Day in 1971. Board a boat at the Jungle Cruise attraction and tour the Nile and Amazon Rivers with a “punny” skipper who doubles as a tour guide. See 225 audio-animatronic tiki gods, birds, flowers and totem poles who sing and croon at Walt Disney’s Enchanted Tiki Room and tour the Swiss Family Robinson’s Treehouse at your own leisure. Don’t forget to sample a Dole Whip at Aloha Isle before heading to meet Captain Jack Sparrow at the Pirates of the Caribbean attraction. Then it’s on to Agrabah for a ride on a magic carpet! In Frontierland, Guests can get a feel of the Old West when they strap in for a ride through the briar patch with Brer Rabbit, Brer Fox and Brer Bear aboard a log flume at Splash Mountain. But watch out for that last drop—it’s a doozy! Guests can hear the sounds of the Old West when they stop in and catch the Country Bear Jamboree, presented by some very friendly audio-animatronic bears. And if Guests are feeling brave, they can catch a train for a rip-roaring ride through a haunted ghost town at the Big Thunder Mountain Railroad attraction. And if they’re aren’t too spooked by that train ride, Pecos Bill’s is a great place for lunch or dinner. Liberty Square is a very patriotic part of Magic Kingdom. It is rich with symbolism, history and Americana—and it’s also home to 999 happy haunts! Liberty Square sits between Frontierland and Fantasyland and is known for the Liberty Bell that stands in the center of the land, the absence of any public restrooms (in keeping with the time period during which indoor plumbing was not available) and for the Hall of Presidents attraction in which Guests can enjoy a presentation about the history of our great country. The production is a combination of a film, several sets with audio-animatronic robots used as prominent people in the storyline of the building of our country, as well as a presentation of all the great men who’ve served in the office of President of our country—in their audio-animatronic forms. Just outside the Hall of Presidents attraction, Guests can enjoy “Great Moments in American History” with the Muppets. Both the Hall of Presidents and Muppets presentations take place several times throughout the day in Liberty Square. Hungry historians can dine on fare at the Liberty Tree Tavern or the Diamond Horseshoe—both table-service venues or at Columbia Harbour House, which is a quick-service restaurant that serves up fish and chips and more. Once Guests have had their patriotic fix—if they dare—they can head over to an eery haunted estate in the distance that is said to be inhabited by 999 happy haunts. The Haunted Mansion attraction invites Guests to step inside an old haunted house for a 15-room tour of the home. The first room is the Portrait Chamber that appears to be stretching—though no one knows for sure! Guests then board a “doom” buggy and are taken through the mansion for a myriad of haunts, frights, special effects, projections and more. Fantasyland is one of the most popular places at Magic Kingdom. 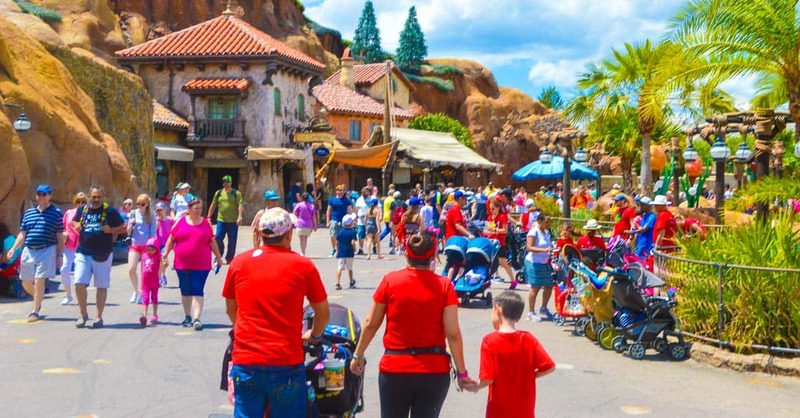 It’s home to several classic attractions at Disney World and some new ones that Guests have come to love as well. 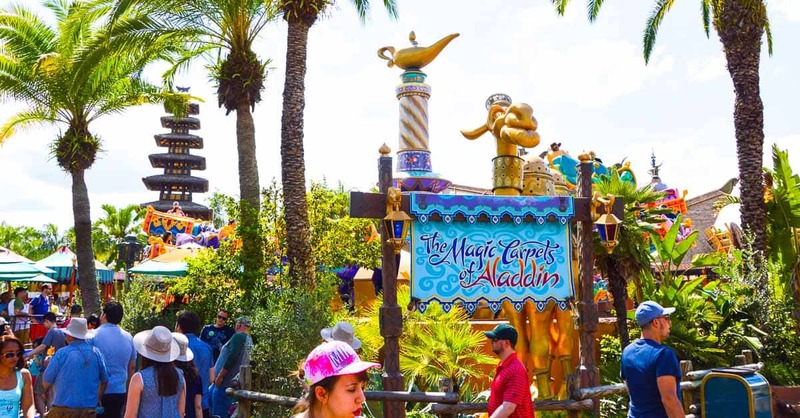 In Fantasyland, Guests can enjoy such classic rides as Peter Pan’s Flight, It’s a Small World, Dumbo the Flying Elephant, Prince Charming’s Regal Carrousel and more. Fantasyland is also home to the beautiful 189-foot tall iconic Cinderella Castle. 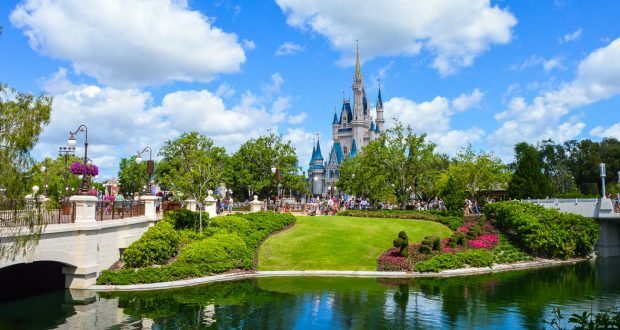 In 2014, Walt Disney World unveiled the New Fantasyland expansion at Magic Kingdom, which includes attractions like Enchanted Tales with Belle and Seven Dwarfs Mine Train, and other fantastical experiences like Be Our Guest Restaurant and Princess Fairy Tale Hall. There’s an excitable “Disney” feel to Fantasyland in every corner and at every attraction. 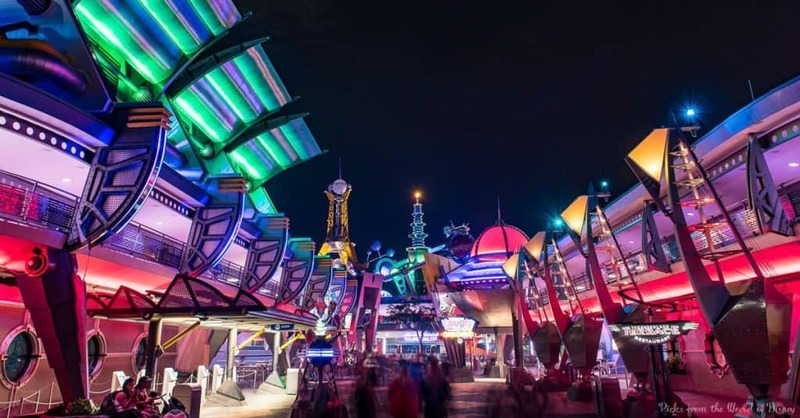 Walt Disney was very interested in the future of space travel, and it’s evident in Tomorrowland, where the feel is “retro future.” In this futuristic land, Guests can test their race car driving skills at the Tomorrowland Speedway or blast off for an intergalactic tour of the cosmos at Space Mountain. Guests can also enjoy an almost aerial tour of Tomorrowland at the Tomorrowland Transit Authority People Mover (formerly the WEDway People Mover). One of the best attractions for Guests who enjoy all things Walt Disney and nostalgia is Walt Disney’s Carousel of Progress, which was originally created by Walt at the request of General Electric for the 1964 New York World’s Fair and follows the life and times of a family in the United States and exhibits the effects progress had on the American family over the 20th century.